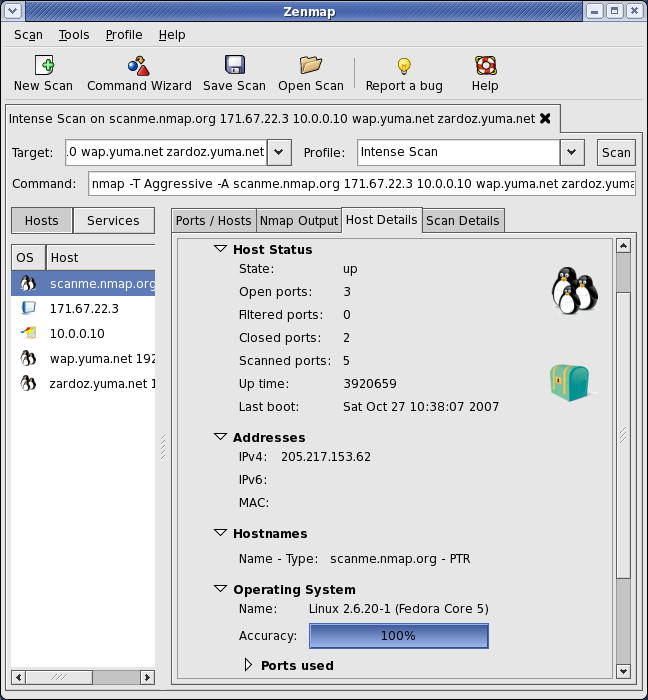 Zenmap is a multi-platform graphical Nmap frontend and results viewer. Managing network computers and tracking traffic, connections and other related tasks are something administrators or power users with advanced knowledge in this field are expected to do. However, with the help of some powerful utilities, the like of Zenmap, you can view some information which might interest you. 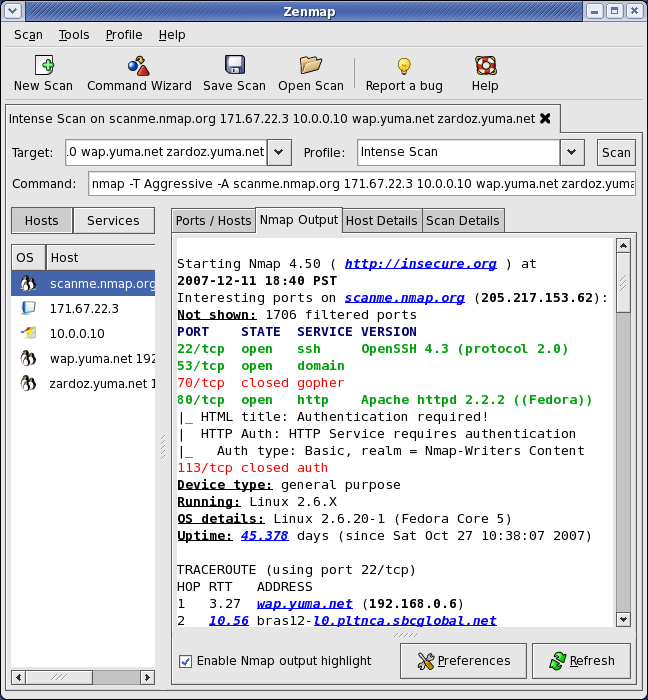 Zenmap is the official Nmap Security Scanner GUI. It is free and open source application which aims to make Nmap easy for beginners to use while providing advanced features for experienced Nmap users. The program has several profiles you can choose from, depending on the type of scan you want to perform. It also supports direct commands and you will be able to customize the existing profiles or create ones of your own. Frequently used scans can be saved as profiles to make them easy to run repeatedly. A command creator allows interactive creation of Nmap command lines. Scan results can be saved and viewed later. Saved scan results can be compared with one another to see how they differ. The results of recent scans are stored in a searchable database. Designed to work with large networks and provide quick scans, Zenmap is not difficult to use and will work just as well on smaller LANs or single hosts. With its strong feature pack, the software is one of the best choices one can make when it comes to this type of applications.